The 2019 Super Rugby season kicks off on Friday 15th February 2019, with the Chiefs taking on the Highlanders. 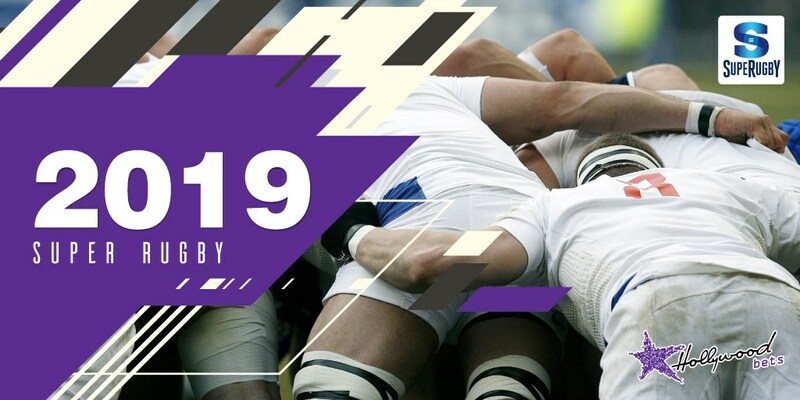 Outright betting is now available for the 2019 season, with defending champions the Crusaders heading the betting boards. The Lions are the top ranked South African team, and there is great value to be found on the Sharks, Stormers and Bulls. Get your bets on now with Hollywoodbets. View the full season's fixtures below. Betting last updated on Monday 14th January 2019. Betting is subject to change. E&OE. The 15 participating teams will be divided into three geographical conferences: the Australian Conference (consisting of four Australian teams and the Japanese Sunwolves), the New Zealand Conference (consisting of five New Zealand teams), and the South African Conference (consisting of four South African teams and the Jaguares from Argentina). In the group stages, there will be 18 rounds of matches, with each team playing 16 matches and having two rounds of byes, resulting in a total of 120 matches. Teams will play eight inter-conference matches and eight cross-conference matches; they will play all the other teams in their conference twice — once at home and once away — and play once against four of the teams in the other two conferences. The top team in each of the three conferences will qualify for the quarterfinals, as do the next five teams with the best records across the three conferences, known as wildcards. The conference winners and best wildcard team will host the quarterfinals. The quarterfinal winners will progress to the semifinal, and the winners of the semifinals will progress to the final.